Weeds have significant economic, environmental, and social impacts. These unwanted land invaders will damage natural landscapes, agricultural lands, and even waterways. They affect biodiversity by degrading habitat as well as competing with (and winning over) native plants. Some weeds even cause allergies, interfering with your health and recreational activities. 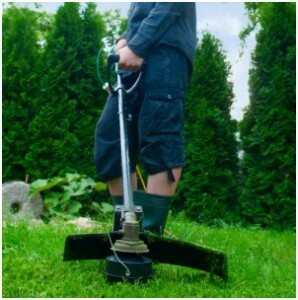 Overall, weeds are not just unsightly,they have adverse impacts and thus need control. As providers of land care management for several organisations, including the Brisbane City Council, CSR, and SEQ Water, Jungle Busters know the importance of weed control — and the results, time and time again, have proven that our solutions to this problem work well. We take on each weed problem according to the type of weed involved. Weeds can be controlled by digging and hand pulling them by the roots, treatment by an appropriate herbicide and via mulching. Herbicide application, which comes with our control and prevention programme of weeds, is among our long list of services. With the correct herbicide for the appropriate weed, and applied in the correct dosage and manner, you can get rid of weed infestations. Aside from our professional herbicide application, we also provide proper mowing; mowing is one of the key methods of controlling weed growth. Regular mowing will reduce some weed types from spreading and growing. Our years of work in effective land care management have enabled us to handle any type of mowing project, from residential lawns to agricultural and forestry areas. Wherever weeds grow, we’re there using the right methods and the right tools to help your lawn and land regain its green space. No matter what your green space needs, Jungle Busters can take care of it.